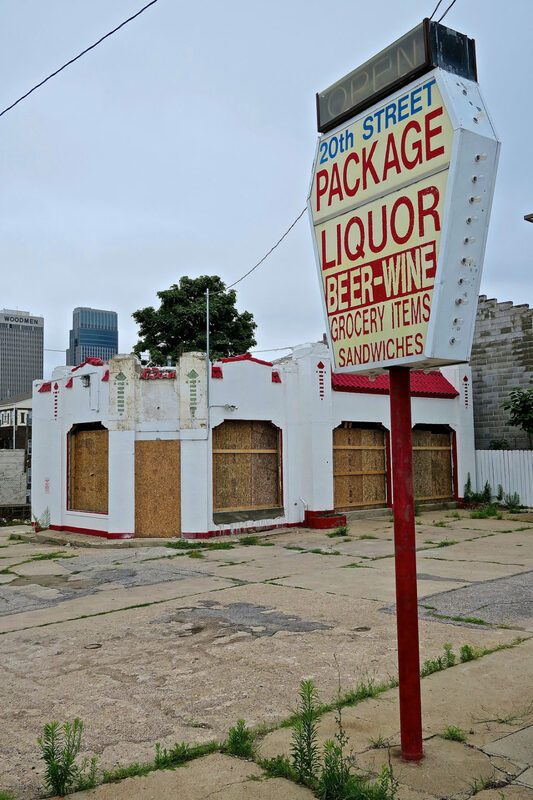 Liquor by any other name may sell the same but these closed and abandoned ‘package’ stores couldn’t succeed in what most say is a can’t-miss business. 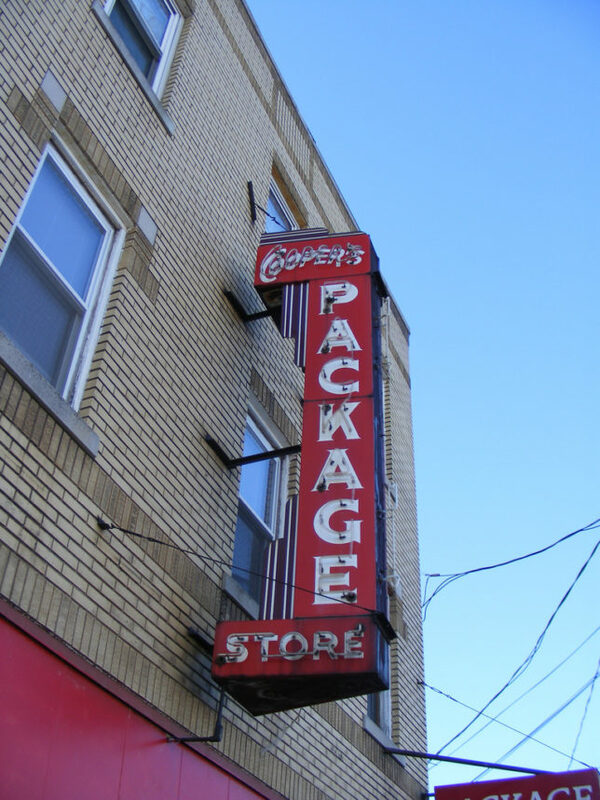 What the heck is a “package store”, anyway? Why not call a spade a spade? Blame the lingering effects of the Twenty-first Amendment that repealed the Eighteenth Amendment (aka Prohibition) but left alcohol marketing in the hands of individual states. Local idioms and societal culture led to retail outlets being named Package stores, ABC (Alcohol Beverage Control) stores, and South Carolina’s famous Red Dot stores. Flickr member Robby Virus captured the shuttered store above, located in Omaha, Nebraska, in July of 2016. Sad to say that even including “package” and “liquor” on the sign couldn’t stanch the flow of red ink. Prohibition was literally the Law of the Land for over a decade – and for some states, even longer: Mississippi didn’t relax its state-wide booze ban ’til 1966. 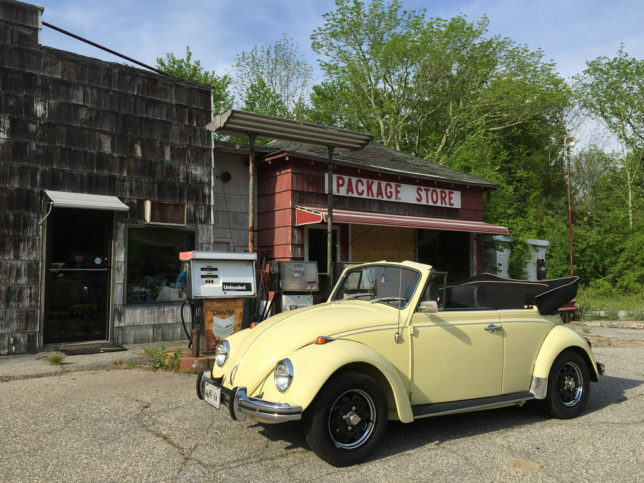 Other states such as Connecticut went the Package Store (“packie”, in local parlance) route, as shown in the above shot of an abandoned gas station / package store combo (“two great tastes that taste great together”) snapped by Flickr member Greg (63vwdriver) in the summer of 2016. What isn’t rusted is faded (and vice versa) at this VERY long-abandoned market and package store in Belcher Square, Great Barrington, Massachusetts. How long? Well, that particular Pepsi logo was used between 1940 and 1950 so… yeah. 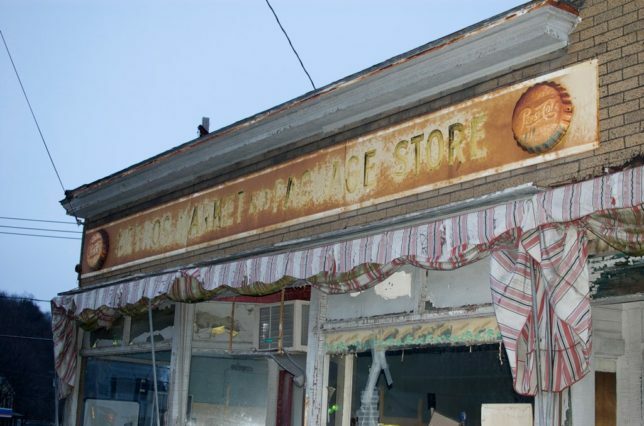 Flickr member Lisa DeLange (LisaSez) captured the desolate, post-apocalyptic storefront in December of 2009. 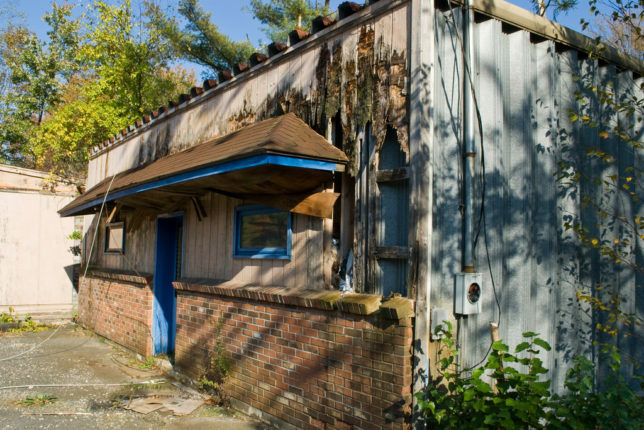 You won’t find any Coors (or any Coors-competitors) in this ramshackle abandoned package store in Federalsburg, MD. Plenty of free parking, though… just don’t park a hot vehicle over those mangy weeds. Flickr member Adam Myers (adamkmyers) snapped this way overgrown and woefully understaffed wobbly-pop shop in the fall of 2016. 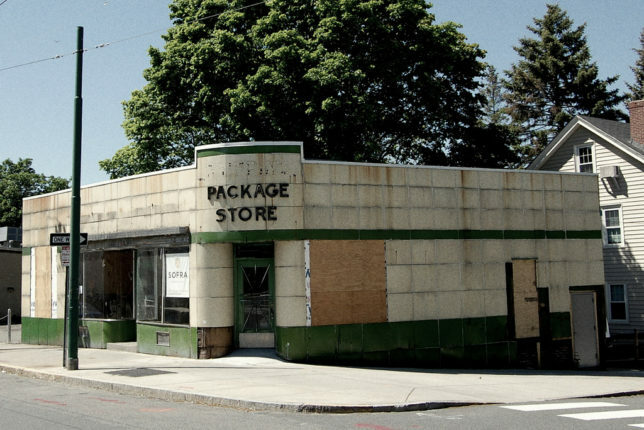 This blockhouse-like abandoned package store in Watertown, MA would make a great anti-zombie fortress, even without shelves stocked with “adult beverages”. We can’t say why this structure, seemingly built to withstand an atomic apocalypse, couldn’t withstand the mid-2000s retail apocalypse. Flickr member ChinatownKicks recorded the concrete cube corner colossus for posterity in May of 2008. 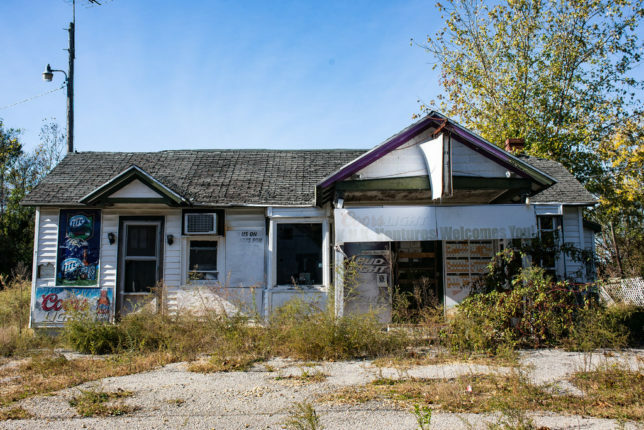 It’s a Package Store, it’s a Deli, it’s… the poster child for abandoned shops! 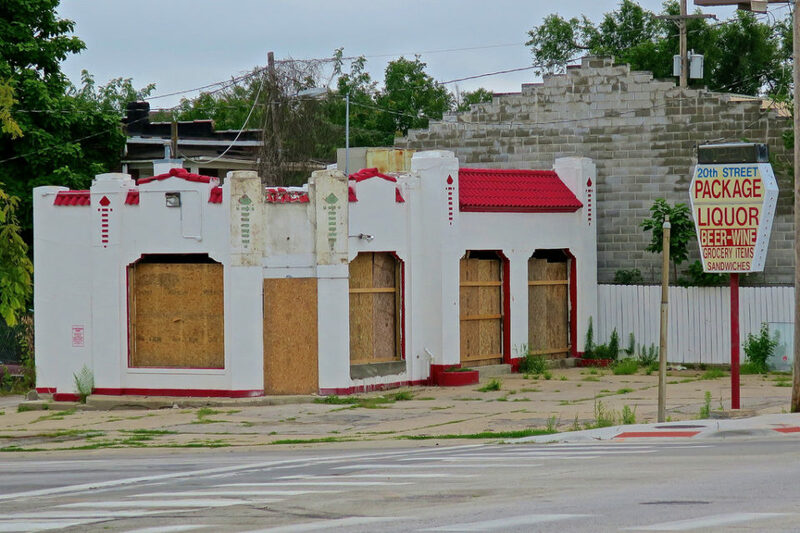 It’s not certain which of the two buildings dispensed drinks while the other served eats but both have seen better days, MANY days ago. Likely the same can be said for “Joe”. 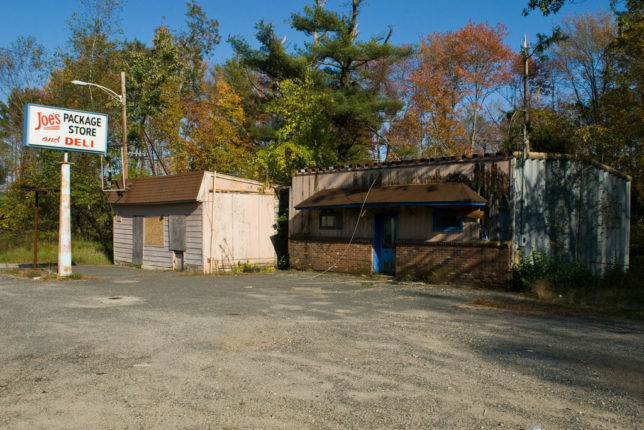 Flickr member DjD-567 visited the decrepit and decayed short-bus of strip malls in Brimfield, MA back in October of 2011. “The inside is in much worse shape, from what I saw through the window,” states the photographer. Contrast that with the still sharp-looking sign out front – Joe shoulda got his sign guy to work on the interior. Signs are known for their staying power; sometimes a store’s sign manages to hang (literally) around longer than the store itself. Such was the case at Cooper’s Package Store on New Park Avenue in Hartford. CT. Nothing lasts forever, mind you. “I’m so glad you got a picture of this sign,” stated one commenter at Flickr member Pixel (improbcat)’s post dated September 17 of 2008. “I went there to photograph it a few weeks ago and it’s gone.” One might say, this package has been de-livered, de-listed, and deleted. We’d buy Pixel a drink in tribute to their excellent timing but… oh.